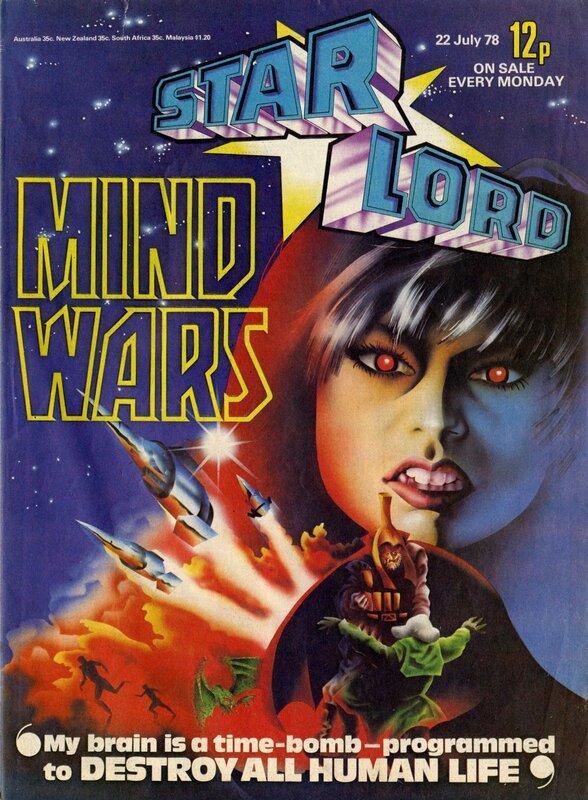 Bob Wakelin produced the cover art for this, the eleventh issue of Starlord, featuring the psychically-superpowered Ardeni of the epic Mind Wars serial. Alan Hebden and Jesus Redondo’s Mind Wars was the best strip in the excellent Starlord, in my opinion. Space opera on a grand scale, sophisticated themes and characters, and absolutely beautiful art. Shocking too, as Ardeni kills her twin Arlen in this mid-run episode.